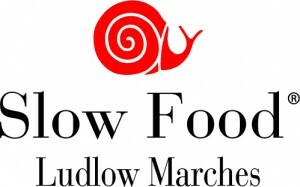 Slow Food Ludlow is run by Sue Chantler and organises events such as themed meals, tastings, producer visits, markets, talks and demonstrations. The group describes its aim as “supporting local, small scale, sustainable food production” and has recently had a particular emphasis on supporting and preserving local endangered foods. The Shropshire prune, a type of damson, and Three Counties Perry, a drink made from the fermented juice of perry pears, are both part of the Forgotten Foods programme due to their endangered status.